Home » Guide » Can You Trust Red Iron Steel Buildings? Red iron steel buildings are amongst the most preferred construction types across the globe. They are considered a better alternative to light gauge tubular steel beams, tube steel, thin sheet metal and even wood components in the framing and construction. They are called as such due to the red-oxide coating applied on the steel to further boost its longevity. An I-Beam style is its most common shape that provides wide-open spaces. It is so easy to erect that it does not require any special carpentry skills. As the name implies, the shape of the structure looks like a capital I. With the amazing durability and strength it offers, an I-Beam style makes it a long-lasting structure. What makes red iron steel buildings popular? There are seven characteristics that make red iron steel building a popular choice in the construction industry. 1. Red iron steel buildings are highly resistant to rusting. This type of building is intended to resist rusting the course of its lifespan, thanks to its iron oxide coating. The coating, which has unique red color, creates a barrier which prevents water penetration. 2. They are designed to withstand extreme weather conditions. The trusses made from steel I-Beams are produced to the maximum tolerance requirements to bear up against heavy rain, strong wind, ice, and snow. Not to mention, the I-Beams are also made up of 100% steel. 3. They are a strong building type and yet an affordable option. The high tensile strength and the I-Beams the building utilizes during erection is incomparable. Since the steel beam can already handle more weight, less steel is used to complete the construction. Moreover, since it is a popular building type, it is widely available and most contractors are already knowledgeable how to deal with it. You don’t have to search high and low for contractors to do the project for you. It is also important to note that while there might be cheaper options available in the market, only red iron steel can assure you with the durability and strength you need to come up with a long-lasting and safe structure. 4. 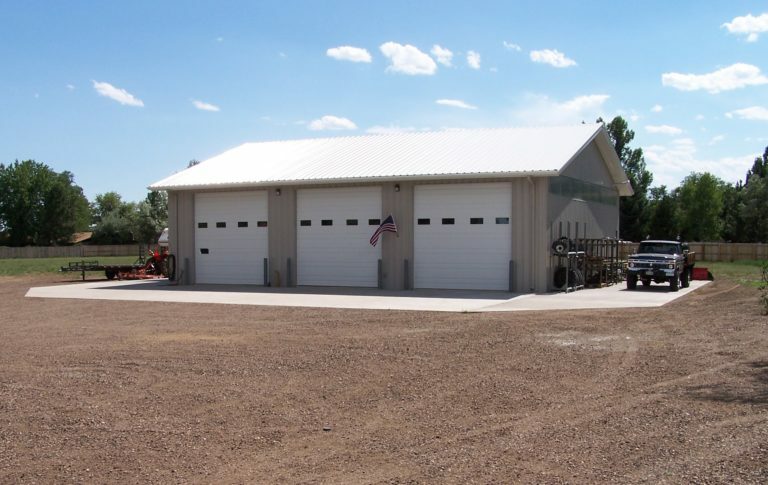 Red iron steel buildings are easy and quick to install. Thanks to its I-Beams, you can do-it-yourself or you may opt to hire someone to do it for you in just a matter of days. The time required to complete it is usually half the time it would usually take to construct other types of steel buildings in the market. 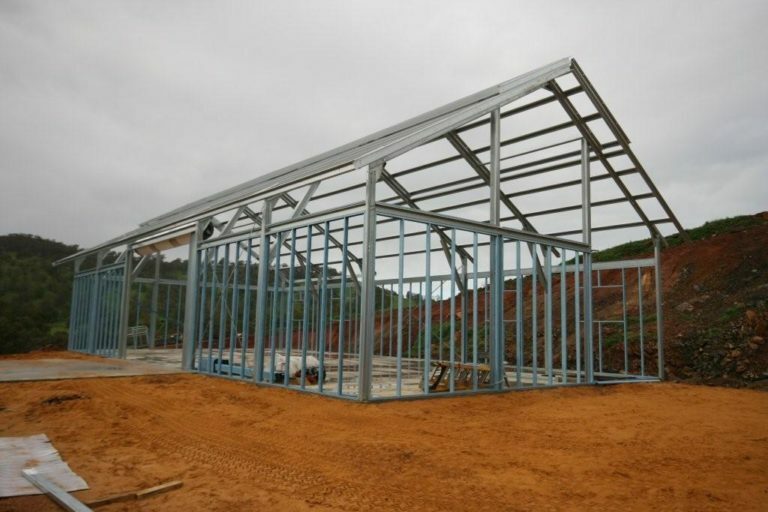 The steel trusses which serve as the primary support structure of red iron steel buildings come in various types of frames and each can be customized to best fit your needs. 5. They are naturally fire-resistant. Red iron steel buildings are non-combustible unlike structures built from wood. This is a necessary feature when you have inflammable materials to store. Eventually, lower fire risk would also mean lower insurance cost. 6. Red iron steel buildings resist termites and decay. This type of building is trial tested of being able to stand the test of time as it does not easily decay and is not at risk of pest infestation. You need not worry about termites and other insects that usually form colonies in the wood and slowly eat the structure away. 7. They are amongst the world’s most sustainable building materials. Steel is considered a green building material as all its contents are recyclable. You can recycle it over and over without sacrificing its quality. Moreover, since it requires the use of less steel, you also have less waste. Hence, you can have your share of conserving resources and reducing waste production. 8. They offer wide-open spaces. Red iron steel buildings or sometimes called I-beam buildings have no load bearing pillars or supporting structures and thus results in wide-open spaces. From just the frame, the steel materials are already strong enough to support the load. 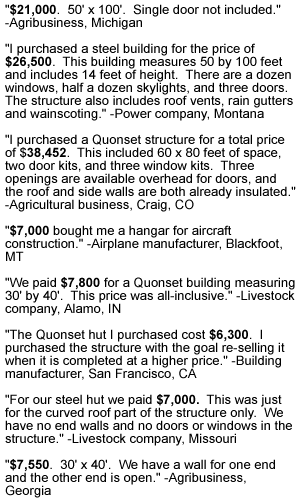 This makes is ideal an airplane hangar and storing large farm equipment. Before buying a red iron steel building, it is important that you are able to choose well from various types based on your budget, size, specifications, design and end-use. Clear spans columns are designed to support the load of the building in the absence of any internal support columns. It results in an unobstructed, wide-open space. As it requires no interior columns, the system offers maximum floor plan flexibility and usable floor space. It is important to note though that as the width of the open area increases, the weight and size of the steel framing members must also increase to be able to handle the additional load. Multiple span columns have several interior columns that serve as a support structure. They are relatively cheaper than the clear span. Aside from it is able to distribute the weight of the building, this type or red iron steel building can break up the interior space and hence allows for a much larger structure. 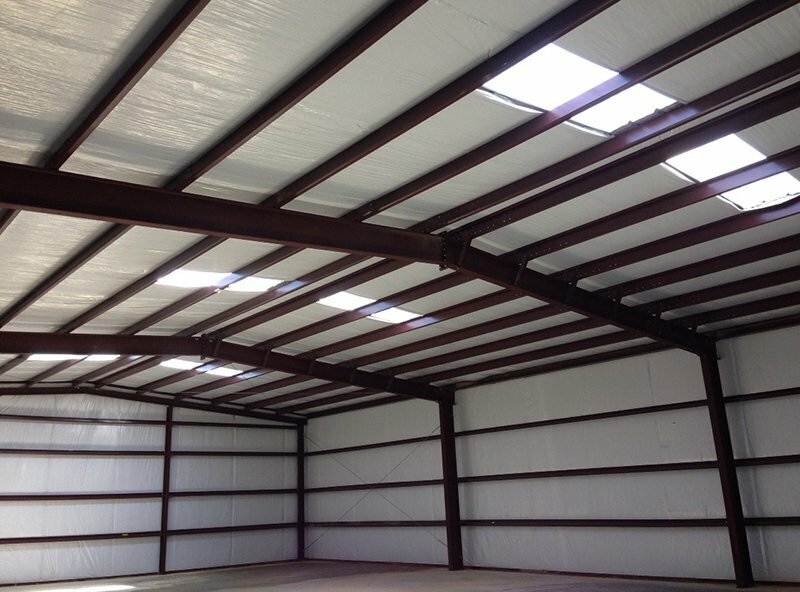 Lean-to-systems allow for an easy expansion of an existing steel-framed building. With this type of red iron steel building, you can easily create additional features like office space, storage, and rooms. Since the framing in this system only requires minimal horizontal loads, the foundation cost is often lower. It is necessary however that the parent structure is strong enough to handle the additional load. When this isn’t possible, a single slope framing is advised. Lean-to systems are commonly used as a shade structure, storage and as a car parking. It usually solves two main problems when expanding at the end wall. First, there are lots that do not support a lengthwise growth. Secondly, end wall removal may be too disturbing.